Below you can view all the homes for sale in the Bruce Place subdivision located in Indianapolis Indiana. 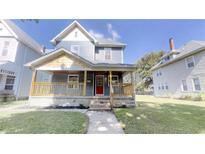 Listings in Bruce Place are updated daily from data we receive from the Indianapolis multiple listing service. To learn more about any of these homes or to receive custom notifications when a new property is listed for sale in Bruce Place, give us a call at 317-644-1844. Square footage on the tax record not reflecting finished 2nd level. 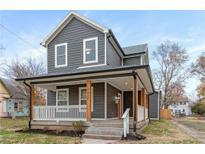 MLS#21629939. RE/MAX Ability Plus. The home also has a large deck flowing from the dining room, and a large fenced in yard with a parking pad. MLS#21626405. 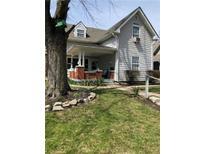 Snyder Strategy Realty, Inc.
Don't miss this fabulous home in one of Indy's up and coming popular neighborhoods, just minutes from downtown Indy and Broad Ripple. Won't last long! MLS#21606668. Keller Williams Indy Metro S.